A presidential hopeful crashes his car in the middle of the night and leaves a young woman to die. What transpired in the hours after Ted Kennedy's car went over the bridge in Chappaquiddick changed the course of American history. Nearly 50 years later, everyone has a theory yet no one knows the truth. 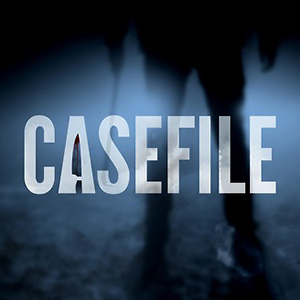 Follow the investigation and hear from those who lived through it in this series from People magazine and Cadence13. 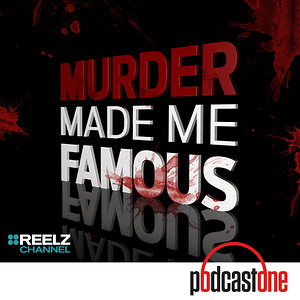 Introducing you to a new podcast coming soon called Root of Evil: The True Story of the Hodel Family and the Black Dahlia. When Elizabeth Short, also known as "The Black Dahlia" was brutally killed in Los Angeles in 1947, it gripped the entire country, and became America's most infamous unsolved murder. The case remains officially open, but many believe Dr. George Hodel to be the killer, thanks to the investigation by Hodel's own son. For the first time ever, using unearthed archival audio and fresh interviews, the Hodels open up to tell their story, and the harrowing legacy of Dr. Hodel that has lasted generations. It turns out that this famous murder is only one of their awful family secrets. Through 8 episodes, sisters Rasha Pecoraro and Yvette Gentile will take a deep dive into their family history to try to figure out what really happened, and where do they all go from here?Subscribe now. Introducing you to a new podcast coming soon called Root of Evil: The True Story of the Hodel Family and the Black Dahlia. When Elizabeth Short, also known as "The Black Dahlia" was brutally killed in Los Angeles in 1947, it gripped the entire country, and became America's most infamous unsolved murder. The case remains officially open, but many believe Dr. George Hodel to be the killer, thanks to the investigation by Hodel's own son. For the first time ever, using unearthed archival audio and fresh interviews, the Hodels open up to tell their story, and the harrowing legacy of Dr. Hodel that has lasted generations. It turns out that this famous murder is only one of their awful family secrets. 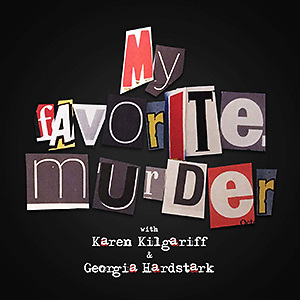 Through 8 episodes, sisters Rasha Pecoraro and Yvette Gentile will take a deep dive into their family history to try to figure out what really happened, and where do they all go from here? Subscribe now.  For fans of Cover-Up: On July 4, 2009, former NFL quarterback Steve McNair was found murdered in his Nashville condo. After just four days of investigating it was ruled a murder-suicide. But what if it wasn't? Over the course of this nine-part series, we'll guide you through the McNair case, reviewing the findings and re-examining crucial details in a new light.Subscribe to Steve McNair: Fall of a Titan, available now. Former NFL quarterback Steve McNair was found murdered in his Nashville condo. After just four days of investigating it was ruled a murder-suicide. But what if it wasn't? The story of Chappaquiddick is not only about Ted Kennedy or Mary Jo Kopechne. It was also about the Boiler Room Girls, the women who were Mary Jo's co-workers -- and her friend. 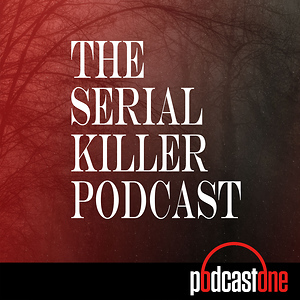 Many theories about what happened that night have been explored in this podcast. And in the final episode of Cover-Up, a mysterious letter reveals new details about the story that has been shrouded in secrecy for nearly 50 years. To continue the discussion, join our Facebook group to share your thoughts and theories or reach us directly at coverup@people.com. And for more on the case, go to people.com/coverup. Peel back a layer that you think brings you closer to answers about Chappaquiddick, and you find more questions. What to make of the story of a young girl who witnessed an unusual occurrence on the island the night of Ted Kennedy's car accident. She has never spoken publicly about that moment -- until now. Hear her story, and that of the man who tried to solve the decades-long mystery but was a complete mystery himself. A man who's quest for the truth took us down the rabbit hole.To continue the discussion, join our Facebook group to share your thoughts and theories or reach us directly at coverup@people.com. And for more on the case, go to people.com/coverup. Peel back a layer that you think brings you closer to answers about Chappaquiddick, and you find more questions. What to make of the story of a young girl who witnessed an unusual occurrence on the island the night of Ted Kennedy's car accident. She has never spoken publicly about that moment -- until now. Hear her story, and that of the man who tried to solve the decades-long mystery but was a complete mystery himself. A man who's quest for the truth took us down the rabbit hole. To continue the discussion, join our Facebook group to share your thoughts and theories or reach us directly at coverup@people.com. And for more on the case, go to people.com/coverup. The investigation into Chappaquiddick was cloaked in an atmosphere of threats, fear and intimidation. The attempt to have Mary Jo Kopechne's body exhumed for an autopsy was fought by her parents ? and would become their lasting regret. Hear from the experts who testified about Mary Jo's final moments - and from the last man who tried to find out what happened that night. To continue the discussion, join our Facebook group to share your thoughts and theories or reach us directly at coverup@people.com. And for more on the case, go to people.com/coverup. The investigation into Chappaquiddick was cloaked in an atmosphere of threats, fear and intimidation. The attempt to have Mary Jo Kopechne's body exhumed for an autopsy was fought by her parents ? and would become their lasting regret. 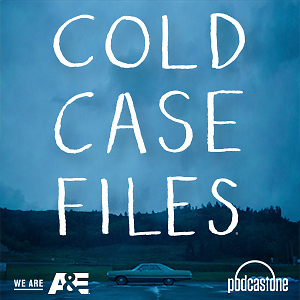 Hear from the experts who testified about Mary Jo's final moments - and from the last man who tried to find out what happened that night.To continue the discussion, join our Facebook group to share your thoughts and theories or reach us directly at coverup@people.com. And for more on the case, go to people.com/coverup. President Nixon had been in office nearly seven months at the time of the Chappaquiddick accident but he viewed Ted Kennedy as a potential threat to his political future. So he sent his private investigator to dig up some dirt, a man who may have known more about Chappaquiddick that anyone else. 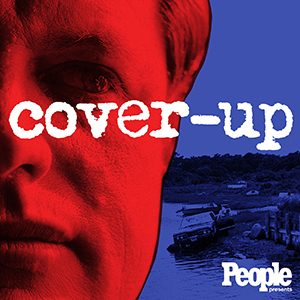 Learn about his secret investigation and hear from one of the the Senator's closest confidantes, whom he called in the early morning hours after the accident.To continue the discussion, join our Facebook group to share your thoughts and theories or reach us directly at coverup@people.com. And for more on the case, go to people.com/coverup.